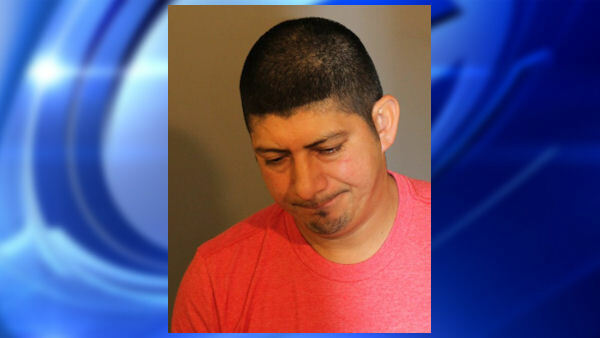 DANBURY, Conn. -- Police arrested a Danbury, Conn., man Sunday after he allegedly left three children in a running car while he was in a bar. Officers found three kids - ages 8 years, 9 years and 4 months old - in a parked car after receiving a report that the children were left alone. A few minutes later, Edgar Hernandez came out of Copacabana, a nearby bar, and said he only stopped for two minutes to collect money from a friend, according to police. Officers said they smelled alcohol on Hernandez, and that Hernandez initially provided them with an incorrect date of birth. After speaking with a witness, police said Hernandez, 40, was inside the bar for over 10 minutes while the children were unattended. The children were turned over to family member. Hernandez was charged with interfering with police and leaving a child under 12 unsupervised. He was released after posting a $2,500 bond. He is scheduled to appear in Danbury Superior Court on July 1.